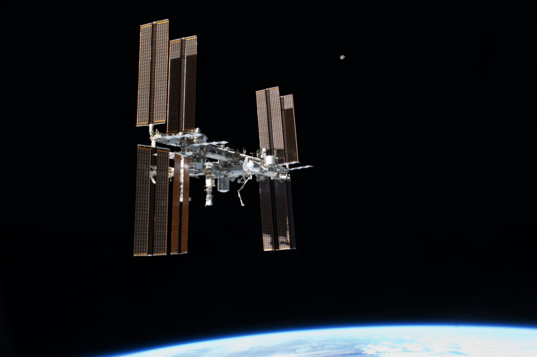 The International Space Station’s warranty has been extended to 2024. The announcement, made Wednesday by NASA and the White House, spares the station from being deorbited in 2020 and leaves the door open to keeping it in business through 2028. Research aboard the ISS supports future long-duration human exploration missions. One such experiment kicks off in spring 2015, when NASA astronaut Scott Kelly and Cosmonaut Mikhail Kornienko head to the station for a yearlong stay. It will be the longest spaceflight by a NASA astronaut. Scientists will closely study how the trip affects the spacefarers’ bodies to prepare for future deep space missions. Also, Scott Kelly is the identical twin brother of astronaut Mark Kelly, and the Kelly brothers will take part in some comparative genetic studies to see how, for instance, spaceflight affects human DNA. This refers to NASA’s Human Research Roadmap, which identifies 32 risks associated with long-duration spaceflight. On the risk chart, you’ll find well-known concerns, such as “Risk of Orthostatic Intolerance During Re-Exposure to Gravity,” as well as more ominous problems, like “Risk of Radiation Carcinogenesis.” In industry-speak, the ISS will help NASA retire some of these 32 risks to prepare for trips beyond Earth orbit. A longer station life means more time for research that benefits people back on Earth. Bolden and Holdren reference NASA astronauts’ work in advancing a salmonella vaccine, which took place from Oct. 2007 to Sept. 2011. Salmonella, according to NASA, is a major cause of worldwide childhood death and is the most common cause of food poisoning. Additionally, the USDA says Salmonella infections cost about 2.65 billion dollars each year. 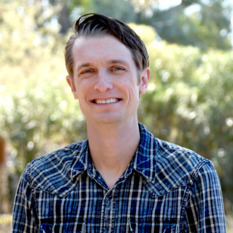 William Gerstenmaier, the associate administrator for NASA's Human Exploration and Operations Mission Directorate, said that an extra four years are important for researchers on the fence about whether or not to begin the arduous process to design an ISS experiment. Keeping the station in orbit for four more years means more cargo and crew runs for NASA’s commercial spaceflight program. This gives the burgeoning private spaceflight industry more time to build confidence and create momentum. As I write this, Orbital Sciences Corporation just launched their first paid Cygnus resupply vessel to the station, and SpaceX has already delivered and returned two paid Dragon capsules. So far, no NASA astronauts are flying commercial—they still rely on Russian Soyuz rockets. Private spaceflight companies (read: SpaceX) are expected to begin flying NASA astronauts to the station in 2017—a timeline that Bolden and Holdren reiterated in their statement. However, as I mentioned in a previous article, the NASA Office of Inspector General suggests that NASA may not be able to launch astronauts from U.S. soil until closer to 2020 because the space agency has only received 38 percent of its requested 2011 through 2013 funding for the program. Under the old ISS deorbit deadline of 2020, this could have created an embarrassing situation. Now that the station’s future is secure through 2024, it seems likely we’ll have a few years of astronauts riding commercial rockets to the ISS. It also looks like NASA will eventually aim to move the station’s ultimate expiration date to 2028. “Technically, the hardware can last to 2028,” Gerstenmaier said. “That leaves the door open in the future to go ahead and extend [the station’s lifespan] at the right time.” In 2028, it will have been 30 years since Unity and Zarya, the station’s original two nodes, linked up during STS-88 in 1998. 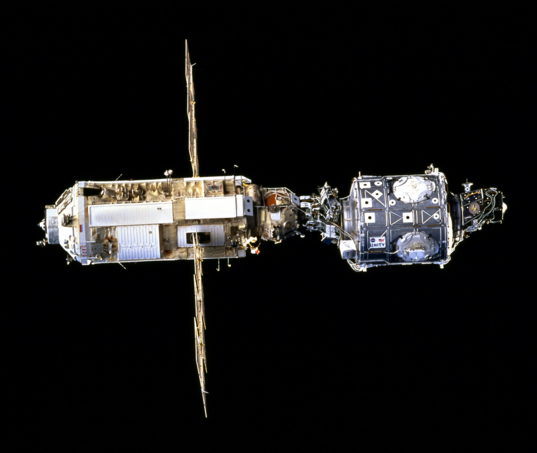 The first two modules of the International Space Station, Zarya (left) and Unity (right), following assembly by Space Shuttle Endeavour during STS-88 in Dec. 1988. Funds for ISS operations are already allocated for the next few years, so Wednesday’s decision requires no immediate financial approval. Gerstenmaier said the funds slated to deorbit the station in 2020 will be reallocated into regular operational costs, and the station already has enough spare parts in stock to keep it going. Just because NASA agreed to four more years in low-Earth orbit doesn’t mean the rest of the station’s international partners are on board. Gerstenmaier says NASA has been talking with its partners for the past few months about extending the station’s life, and feels confident they will join the effort. However, he doesn’t expect an official word on funding to arrive for “several years.” He also noted that the international partners led the way on authorizing the station’s last extension, and they seem relieved NASA made the first move this time. If the international partners do decide to pull out in 2020, NASA and Roscosmos could end up holding the bill. “We’re prepared to do what we have to do if our partners choose to take a different path,” said Gerstenmaier. Well, I'm all for extending the ISS life, but only if it can act as a platform for building a REAL space ship (the ISS with zero gravity is pretty useless). http://www.universetoday.com/95099/ As far as NASA wanting to build space ships with robots and 3-D printing (http://gigaom.com/2013/08/29/nasa-wants-to-build-huge-spacecraft-in-orbit-with-robots-and-3d-printers/), well, 3-D printing sounds great - what with being able to 3-D print with metals now, but I would worry about the structural integrity of the parts. Many parts and major components need to come from molds into which the materials (metals) are placed and the material achieves a structural rigidity through being heated and molded into the specific shape that cannot be duplicated with 3-D printers since it builds layer by layer. (A little off-topic, but if the ISS will be alive for a bit longer, I really hope they’ll be doing much more by the 2020s than what they’re doing now). It's time.